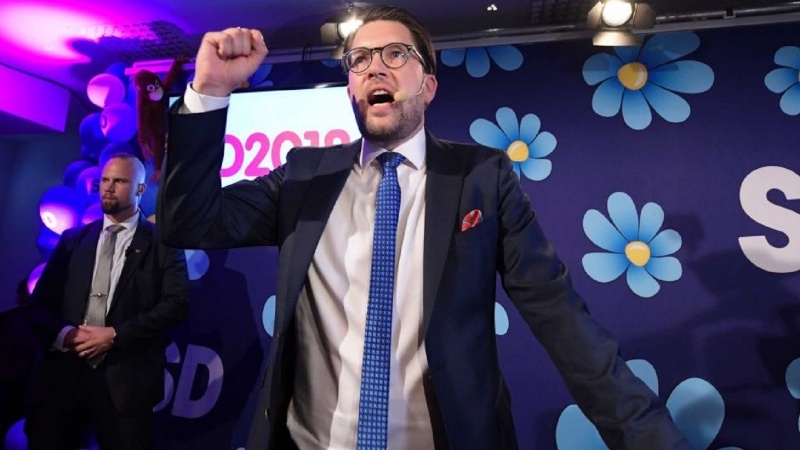 Sweden has finished its general elections with no party securing a majority, though far-right Sweden Democrats outperform themselves compared to the last elections. The immigration-averse and eurosceptic party secured 17.6 percent of the vote, up from 12.9 percent in the last polls four years ago. The results indicate that Sweden is headed for a hung parliament as one of Europe’s most liberal nations turns right amid fears over immigration. “We will gain huge influence over what happens in Sweden during the coming weeks, months, and years,” Jimmie Akesson bragged to party colleagues. The Sweden Democrats has been electioneering on a ticket of a freeze on immigration and Sweden’s departure from the European Union. The party, which bears traces of white supremacy, has been a black sheep at the parliament since its formation in 2010. It, however, has promised to sink any cabinet that refuses to give them a say in policy. The poll results also indicated that the ruling center-left Social Democrats and the opposition center-right Alliance each won a little more than 40 percent. In the absence of majority, Prime Minister Stefan Lofven has invited the opposition to talks. Ulf Kristersson, the Alliance’s candidate, has called on him to resign, but has spurned Akesson at the same time. “We have been completely clear during the whole election. The Alliance will not govern or discuss how to form a government with the Sweden Democrats,” he said. The premier has rejected calls to resign and said that “nothing will be determined” on an election night that has seen no clear winner emerge. Observers hope that the political deadlock is not abused by populists, who have bagged huge gains across the continent over the past years due to a significant rise in immigration and the growing anxiety over the effects of globalization.